These steps are the beginning. There is so much more to pain care. … First, take the pain self-assessment again, and compare your answers to your results before you tried the First Five Steps. You might be surprised. Give this a try. … Second, continue the steps. More practise will improve our skill. Repetition will allow you to improve your ease of movement over time and experience fewer flare-ups. … Third, combine these techniques and ideas with all the important things you are doing to improve your sleep, your nutrition, … Even though the First 5 Steps looks like self-help, you will do best when you find others to support you and share what they have learned. …and, if learning more information and techniques feels like the right path for you, purchase Pain Care for Life. 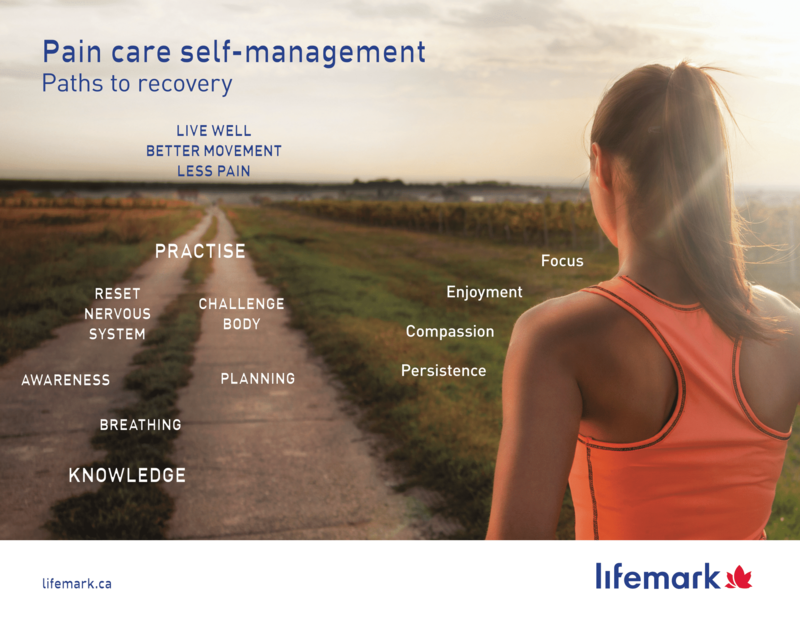 Pain Care for Life is an online guided journey—video exercises, electronic books, audio lessons, and interactive ways to learn about your pain are all included to help you and your health professionals guide you towards living well again. As with all pain care techniques, we recommend you follow the guidance of your health professional if you choose to work through Pain Care for Life, and especially if your success so far has been difficult to attain.